Last week’s post about my latest parenting purchases was so popular that I thought I’d share some more of my recent acquisitions that have helped make life just a little easier. Remember – all Amazon links are affiliate links, which adds nothing to your purchase price but usually throws a little bit of money my way that I put towards the upkeep of this site (thanks for using the links!). While I love my regular workhorse stroller (and have enthused about it here), I needed something lightweight and smaller for travel and for trips into the city when I don’t want such a large footprint or don’t need so much storage. After a lot of deliberation, I settled on this awesome smaller independent company for an 11 lb stroller with a huge sunshade (sale price on red and camo). We took it all over London and Dublin, it folds up super easily and is really lightweight. I actually even took it into Manhattan once, got off at a stop that didn’t have an elevator and managed to get it up the stairs by myself while carrying A in one arm. I definitely could not do that with my regular stroller (which is 20+ lbs empty). 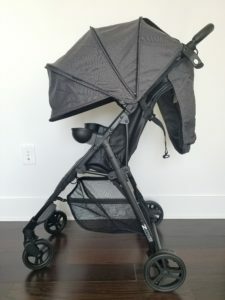 Note: a lot of people I know also rave about this more typical umbrella stroller, which on sale for $63~ is an amazing price with tons of features. I think both have their upsides! It all depends on your kid and your needs. I get asked about this next item ALL THE TIME as it tends to appear in the background of a lot of my InstaStory pics (seriously, why aren’t you following me on Instagram?) — A’s current cup for water. 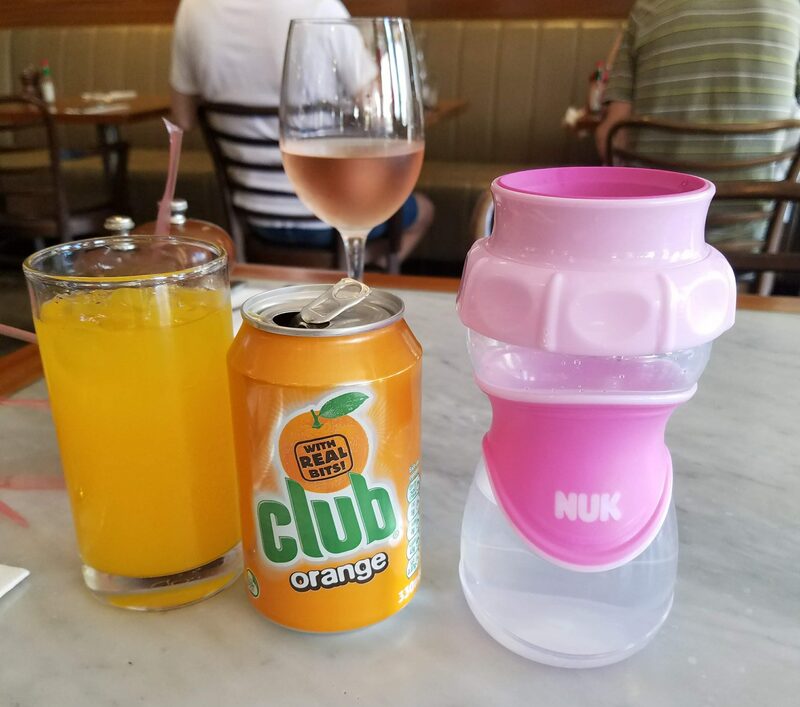 It’s a traditional 360 cup on top, but it narrows in the middle which makes it small enough for her hands to fit around comfortably, so she can hold it and tilt it herself without help from me and without bulky handles that make it impossible for regular sippy cups to fit in stroller cup holders. I know that sounds insane if you’ve never dealt with that issue, but if you have then you know exactly how annoying that is. This one doesn’t leak, it comes in a couple of different colors, and she finds it pretty easy to use. Here’s how mom-word-of-mouth works; a mom friend brought these cards to a day at the park. She showed me how she would put three in front of her son (who is 3 months older than A) and ask him to point out the baby. I was impressed that he usually got it, so I immediately ordered them and excitedly posted them on InstaStory. A few days later, another mom reached out to me to tell me she’d bought them for her daughter (who I think is 6 months older than A), and how much her daughter LOVED them. It took a lot of time and work with A but now we can show her cards and she will meow when the cat comes up, and she recently picked up the card with the teddy bear on it and brought it to her own teddy bear. And because A likes animals so much, I recently ordered the set with just animals. It’s backordered so I won’t get it for a little bit, but I think she’ll enjoy those even more — especially because that comes with sound effects (ie, Mommy and Daddy always read animals with sound effects). Another amazing mom-word-of-mouth toy: the Wonder Wheel! At a parents’ meetup a few months back, a mom pulled this out. Her son immediately stopped climbing on her to paw at the wheel, making it rattle and roll. Three other babies were mesmerized by it and just stared. I ordered it the next day, brought it to the park a few days later, and two or three other moms ordered it after their babies tried to take A’s from her (not maliciously, of course!). Now we all have marks on them to make sure they don’t get mixed up when we’re all together — it suctions to surfaces so you can put it on the high chair and occupy baby while you’re cooking, and it makes lots of noise and is super fun for them. 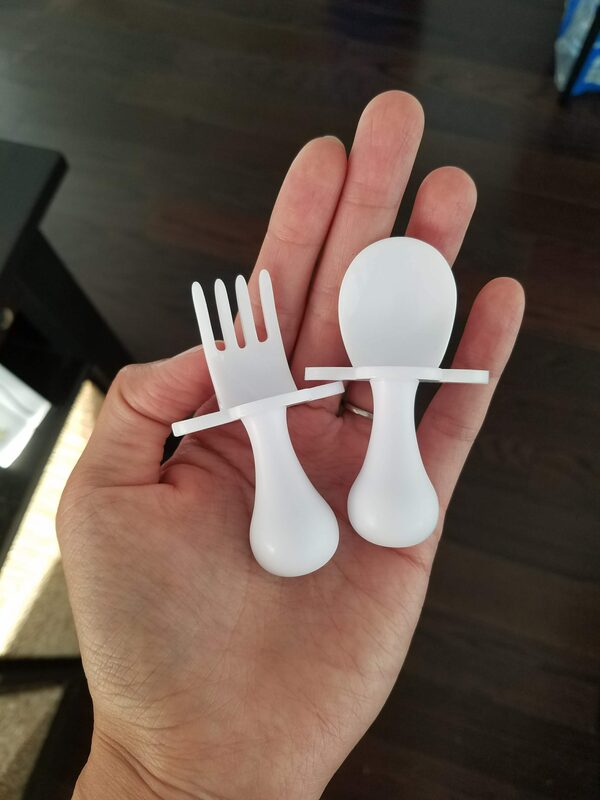 One more item to help baby eat well, and that I learned about from another mom: these nifty utensils are shorter than most baby utensils and have a choke guard. They’re intended to encourage self-feeding and they definitely help. A is not a master of them yet, but she understands the concept and will take them from me after I fork something onto them, and will eat off the fork. Sometimes she gets annoyed and will use her other hand to pull the food off and just eat that way, but I’ve seen her try to fork food (which is harder than you might think, depending on texture). It’s so fascinating watching her develop and think once upon a time, we were all this totally unknowing about everything. Thanks for reading another batch of items that’ve helped me with my growing infant! Do you have any recommendations for things you’ve purchased recently that seriously help your life – parenting-related or not? Once again, none of these products were sponsored – I paid for all of them and these companies have no idea who I am nor that I am writing about them.